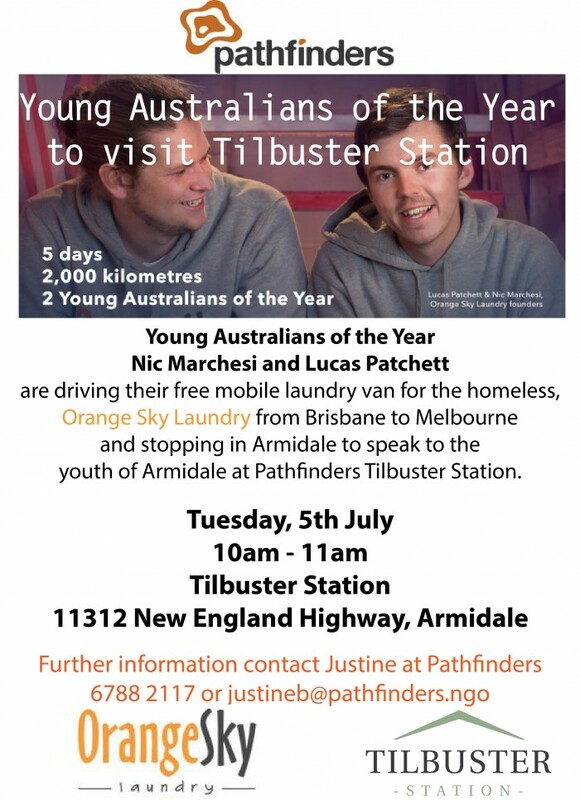 Young Australians of the Year Nic Marchesi and Lucas Patchett are driving their Orange Sky Laundry van from Brisbane to Melbourne and stopping in Armidale to speak to the youth of Armidale at Pathfinders Tilbuster Station. 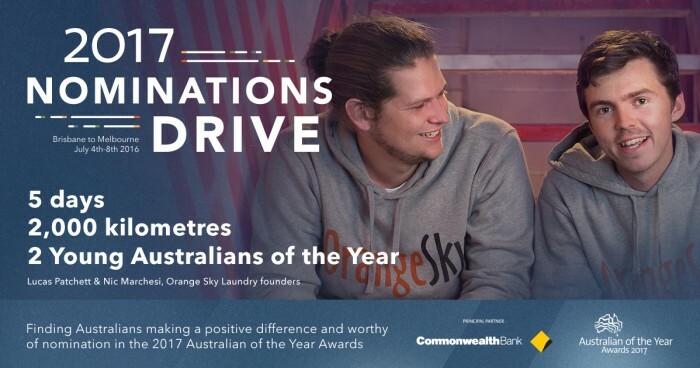 The founders of Orange Sky Laundry are on a mission to find Australians doing great things in our community and worthy of nomination in the 2017 Australian of the Year Awards. Nic and Lucas will visit Tilbuster Station on Tuesday, 5th July from 10am to 11am and Pathfinders are encouraging all members of the community to come and listen to their story. This is a wonderful opportunity for young people to engage with Nic and Lucas who especially asked to visit Tilbuster after hearing about the Pumpkin Run and the work Pathfinders do. Orange Sky Laundry began in Brisbane in September 2014 where best mates Nic and Lucas built a free mobile laundry to help the homeless in their old van and, since then, the world-first idea has rapidly expanded to nine vans in Brisbane, Sunshine Coast, Melbourne, SE Melbourne, Perth, Gold Coast, Sydney, Adelaide and Canberra. They now plan to expand services Australia-wide with the aim of positively connecting the community and improving the lives of others.